Properties in Eden Hills average 4.7 out of 5 stars. Property 11: Tintookie Vineyard- Fabulous views & lots to do. Property 21: Cuthero Cottage: Home away from home. Westbury Cottage B&B clean neat great location! Property 33: Westbury Cottage B&B clean neat great location! Corktree Cottage - Gorgeous cosy accommodation in the beautiful Adelaide Hills. 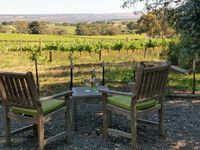 Property 40: Corktree Cottage - Gorgeous cosy accommodation in the beautiful Adelaide Hills. Your comfortable home away from home in the East End of the Adelaide CBD. Property 41: Your comfortable home away from home in the East End of the Adelaide CBD. We stayed 4 nights in this beautiful home whilst in Adelaide for a special event. The home and location were wonderful.